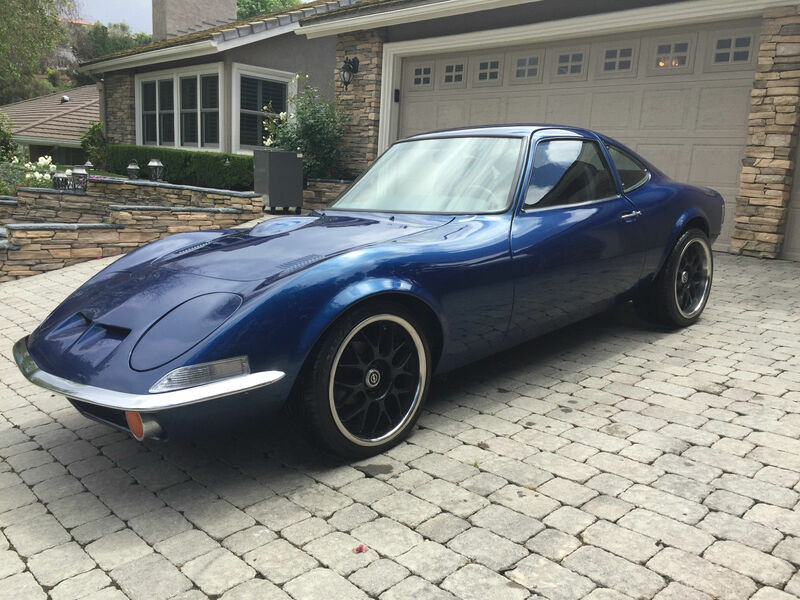 Take a look at this 1973 Opel GT here on eBay bidding for $8,000 reserve-not-met with $10,950 buy-it-now with 6 days to go. 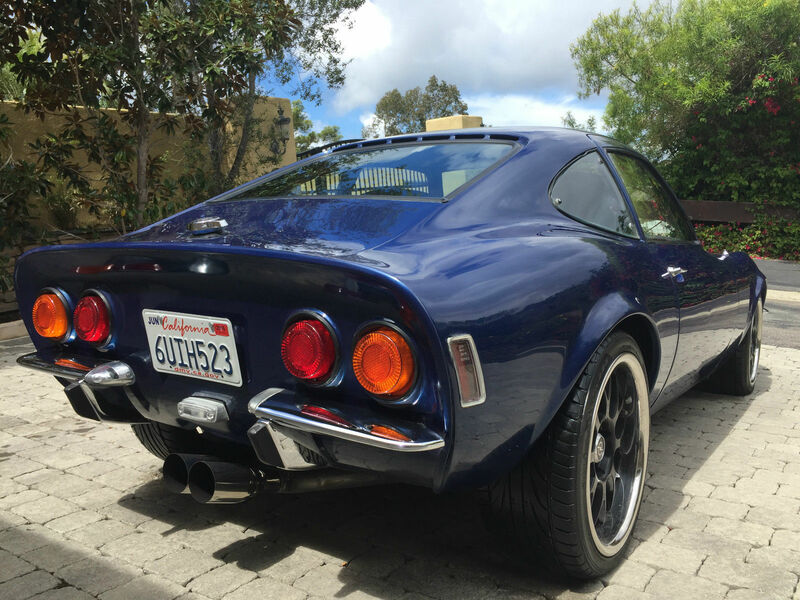 It is with much regret that I am selling my 1973 Opel GT. 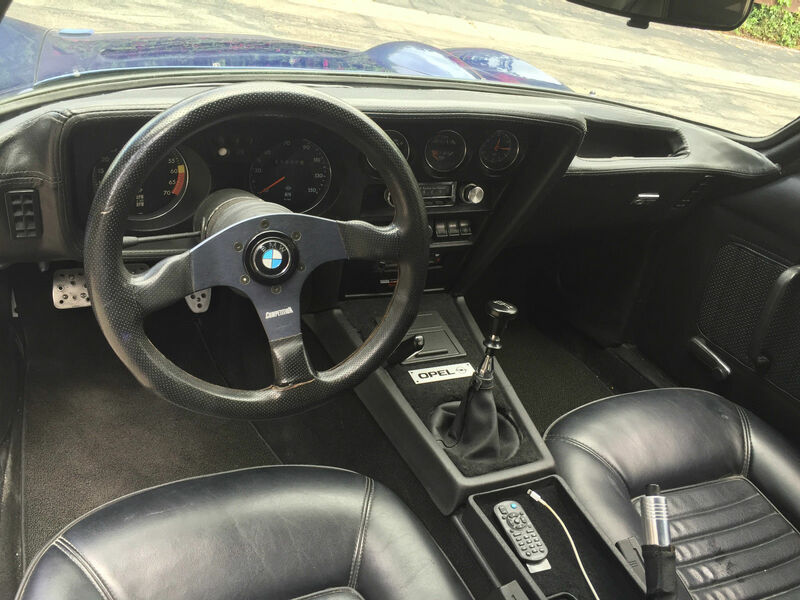 I purchased from the owner of 34 years; it was a daily driver. The car didn't look great but the body was straight, no rust and the car has always been in California. I have owned this car for 8 years and a minute after I purchased I began my restoration. I have well over $15,000 in receipts and 100's of hours of my time. I am selling the car for two reasons; one is that I had surgery on my neck and can no longer get inside lowered cars. The other is that the rebuilt engine bogs down at high RPM and I don't know why. I brought to a Carburetor specialist who calibrated the 38/38 Weber carburetor perfectly, it idles, revs, starts right up and will drive at speed. If you put your foot into it it will bog but get to RPM. It could be the fuel pump, it could be that the car just needs to be driven as I have put no more than 5 miles on the car since I have owned it. That said, almost everything has been replaced on this car; It will be difficult to list everything but I will try. 17" wheels and tires are new with 10.5" rim and 245-35-17 in the rear and 8.5" rim and 215-40-17 in the front. I am sure there is more. 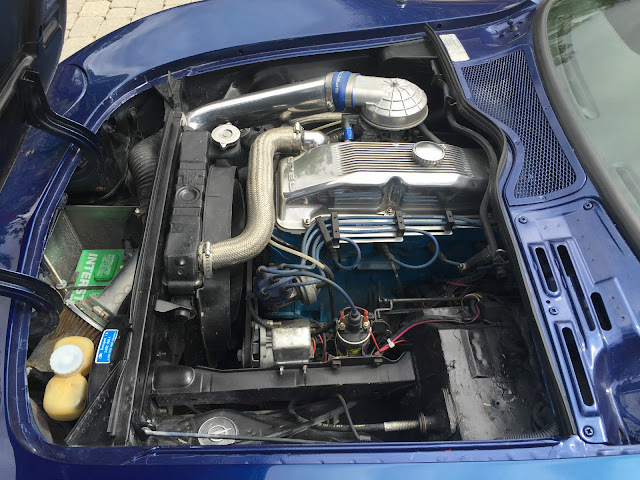 Opel GT Source has provided the majority of parts; the Engine/Trans was from Opels Unlimited. This is a gorgeous car with a great amount of work and money into it and I should not be selling with the handicap of the issue with the engine. This car is easily worth $15,000-$18,000. I just can't work on the car any longer and cannot drive to see if it just needs to run through a new tank of Premium to work out the kinks. I have boxes and boxes of extra parts; new and used; all go with the car. Car is registered in California with a clear title in my name. Car is available to see and drive. While I am saying I replaced most everything on this car I am not saying it is perfect. 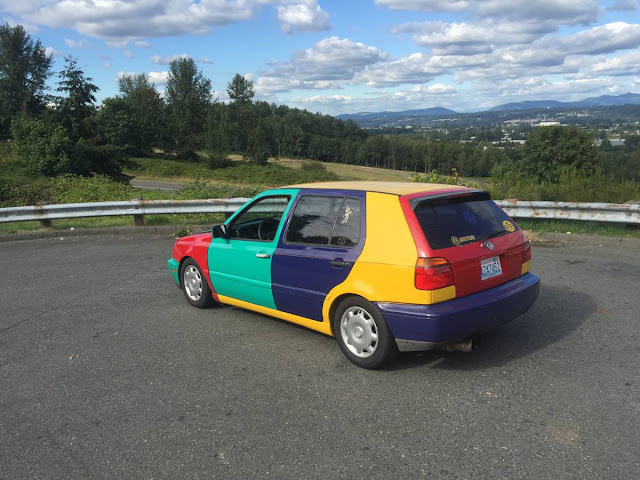 This car was not done professionally; it was done in my garage by me in my spare time. What was done professionally was the paint job and installation of the engine and transmission. Car looks amazing because I am a bit of a perfectionist but just saying; still a 43 year old car. I have original owners manual (see pictures) for car that was purchased at Seaside Buick. I have repair manuals as well. Car is being offered AS-IS and I am explaining to the best of my abilities. Wow, that is one of the nicest Opel GTs I have ever seen. His choices really emphasize just how beautiful that shape is. I am not a fan of modern "dub style" wheels (is that the correct term) on a classic, but these look darned good. In my opinion, he has put too much tire on this car, since I suspect performance is still modest by modern standards. I find that too much tire makes a car feel heavy and lethargic. As the ancient Romans used to say "Gaudium in statera" (with balance comes joy - actually I made that up, then used Google Translate, so I hope I haven't offended any ancient Romans on DT). Them ain't 20s but its off the hook. Nah, man them 10s, them 10s. But I keep em clean. Just Look at that side profile and the greenhouse. Just beautiful. Sometimes the best lines are not on the most expensive cars. Yeah, this is how I wish the FRS/BRZ twins had come out. Of course modern safety add-ons probably preclude anything so lithe and beautiful. My take on the FRS/BRZ family is much closer to the 510. 510, 2002, E30, Giulia. Four or five real seats, even four doors, upright greenhouse, RWD. That's what I wanted, anyway. That is probably the nicest Opel GT I've seen, shame the seller didn't really get to drive it. Those wheels, if you told me you put 17 inch rims on this car and lowered it, I'd think it would look silly, but this actually works very nicely. I think they probably look less good in person, but there's a lot of work in this car. Guess im the odd man out but i hate those wheels. I like some sidewall on my tires. And the offset is all wrong on the back. When i see big wheels i just see heavy, crappy ride, excessive unsprung weight. Im not a luddite, often goin a little larger tightens the handling, leaves more room for brakes, and these days gives you more options for tires. Or maybe i am a 33 year old luddite. Improper distributor curve or bad counterweights? Bad fuel pump? Obstruction in the fuel line? Too much carburetor? A weak coil? Anyone car to speculate? At any rate, someone got a bargain.